This New Year's Eve, millions of Americans resolved to lose weight, give up smoking, save money, do volunteer work, or find a new job. Chances are, they made the same resolution last year and the year before. Research shows that nearly 90 percent of New Year's resolutions fail. Looking at the goal to make sure it's achievable is important. If you say "for the next 365 days I'm not going to do something" and on the third day of January you do it, you'll be inclined to quit. You want to try to develop a trend, not an all-or-nothing situation. If you relapse, it's important to recognize it and then commit yourself to the habits that worked. A lot of people will stop and say "I was really good at this for six months and I've lost 15 pounds, and then I noticed during the seventh month that I lightened up a bit and I put back on three pounds." That doesn't have to become the argument to give it up and say all is lost and it's back to point zero. It's okay, go back to what was working before, re-commit yourself to your goal. That all-or-nothing mindset is often the Achilles' heel of making a resolution or setting a goal. Most people, when they make their New Year's resolutions, are likely to keep it to themselves. Some people will share their goal with a friend or family member. There's a strong social psychology that when we set goals in the presence of other people, there's a greater probability of following through on them rather than just making the resolutions to ourselves. We had an event here at McLean in which several teams were put together and their goal was to see which team collectively lost the most weight. There was a buzz for several months and people were all excited about it, and some people did better in that exercise than they had ever done before with a New Year's resolution or the equivalent of setting a goal. So there's something about the social context that helps to increase the probability. It's important to be aware of and prepare for the circumstances that might sabotage your intentions, increase your vulnerability, and prevent you from making progress. We sometimes hit a fork in the road where the probability of following through on a New Year's resolution becomes so low, so we stop and ask ourselves why we are even bothering to do it. When that happens, it's important to identify incentives. The achievement of the goal itself is certainly an incentive, otherwise you wouldn't be doing it, but many of the goals we set for ourselves are taxing. The goals are breaking into habits that are gratifying, so if you want to lose weight, you're not going to lose any by eating more hot fudge sundaes. You're going to eat fewer hot fudge sundaes. That becomes a negative, if you will, to accomplish the positive outcome. Therefore, what can you do to create an incentive that is aberrational (different from the norm) and also positive? The task in its own right may be challenging or difficult. Incentives might be treating yourself to a concert or setting aside time to participate in an activity or hobby you particularly enjoy. Not every change has to be big. There are habits and behaviors that can be modified to help bring about positive outcomes. For example, if you're repeatedly late for work and want to make sure you get to the office on time, set a goal of getting up at 7 am. However, you also have to set the goal of going to bed before 3 am. Looking at what maintains the behavior is critical. It's par for the course in terms of therapeutic strategies to identify the precursors of a certain behavior that need to be addressed. You have to look at what leads up to the things you want to change. Also, consider building in goals that can have immediate and positive results. For example, if you want to improve the quality of relationships in your life, it can start with simply showing more interest in others and taking the initiative to reach out and engage more deeply in conversations. When people respond to your actions, there's an immediate and positive outcome. Finally, why do you want to change? It's important to take a good hard look at what it is that you want to change about yourself. Is it a realistic goal or is it just something you beat yourself up about? We don't always have to be striving for perfection or feel like we're a work in progress. If you decide that making a change would ultimately be beneficial, you don't have to wait until January 1 to make a resolution. While the concept of New Year's is that metaphoric starting line, you can pick any day to begin making an important change and look forward. 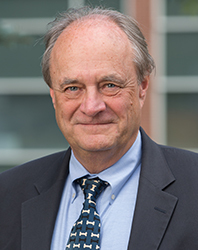 Philip G. Levendusky, PhD, ABPP, is senior vice president for Business Development and Communications, director of the Psychology Department and co-director of Psychology Training at McLean Hospital. He is an associate professor of psychology in the Department of Psychiatry at Harvard Medical School.